In 2009, RUAG started building a Dornier 228 New Generation in Germany with the fuselage, wings and tail unit manufactured by Hindustan Aeronautics Limited (HAL) in Kanpur (India) and transported to Oberpfaffenhofen near Munich, where RUAG Aviation carries out aircraft final assembly, customized equipment installation, product conformity inspection and aircraft delivery. It is basically the same aircraft with improved technologies and performances, such as a new five blade propeller, glass cockpit and longer range. The first delivery was made in September 2010 to a Japanese operator. In the late 1970s, Dornier GmbH developed a new kind of wing, the TNT (Tragflügel neuer Technologie – Aerofoil new technology), subsidized by the German Government. Dornier tested it on a modified Do 28D-2 Skyservant and with Pratt & Whitney Canada PT6A-110 turboprop engines. Finally, Dornier changed the engine and tested the new aircraft, which was named Do 128 with two Garrett AiResearch TPE-331-5 engines. The company developed a new fuselage for the TNT and TPE 331–5 in two variants (15- and 19-passenger) and named both project-aircraft E-1 (later Do 228-100) and E-2 (later Do 228-200). At the ILA Berlin Air Show in 1980, Dornier presented the new aircraft to the public. 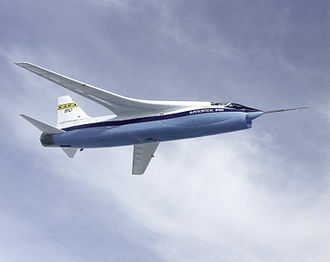 Both of the prototypes were flown on 28 March 1981 and 9 May 1981 for the first time. After German certification was granted on 18 December 1981, the first Do 228-100 entered service in the fleet of Norving in July 1982. The first operator of the larger Do 228-200 entered service with Jet Charters in late 1982. Certification from both British and American aviation authorities followed on 17 April and 11 May 1984 respectively. By 1983, the production rate of the Do 228 had risen to three aircraft per month; at this point, Dornier had targeted that 300 Do 228s would be produced by the end of the 1980s. In November 1983, a major license-production and phased technology-transfer agreement was signed between Dornier and Hindustan Aeronautics Limited (HAL) was signed; a separate production line was established and produced its first aircraft in 1985. By 2014, a total of 125 Do 228s had been produced in India. Over the years, Dornier offered the 228 in upgraded variants and fitted with optional equipment for performing various special missions. In 1996, it was announced that all manufacturing operations would be transferred to India. In 1998, activity on the German production line was halted, in part to concentrate on the production of the larger Fairchild-Dornier 328 and in response to Dornier's wider financial difficulties. RUAG acquired the Do 228 type certificate in 2003. In December 2007, RUAG announced their intention to launch a modernized version of the aircraft, designated as the Do 228 Next Generation, or Do 228 NG. 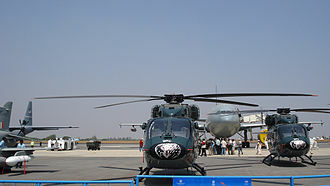 At the 2008 Berlin Air Show, HAL agreed on supplying the first three components sets — fuselage, wings and tail — for €5 million, as a part of a €80 million ($123 million) ten-year contract. In June 2010, the passenger aircraft was priced at €5.2 million ($7 million), €5.8-5.9 million with JAR-Ops equipment; restarting its production cost €20 million. On 18 August 2010, the Do 228NG received its airworthiness certification from the European Aviation Safety Agency (EASA). The majority of manufacturing activity for the type is located in Germany; however, most airframe subassemblies, such as the wings, tail and fuselage, are produced by HAL in India. The main changes from the previous Dornier 228-212 model were a new five-blade propeller made of composite material, more powerful engines and an advanced glass cockpit featuring electronic instrument displays and other avionics improvements. The first delivery, to the Japanese operator New Central Aviation, took place in September 2010. RUAG decided to suspend production of the Do 228 NG after the completion of an initial batch of eight aircraft in 2013. In 2014, RUAG and Tata Group signed an agreement for the latter to become a key supplier of the program. Production was restarted in 2015, with deliveries of four per year planned from 2016. In February 2016, RUAG announced that they were set to begin serial production of the Do 228 NG at its German production line in mid-2016; the assembly line is reportedly capable of producing a maximum of 12 aircraft per year. 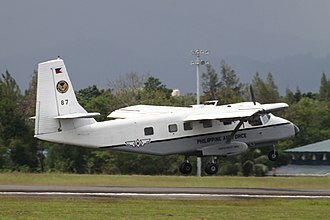 The Dornier 228 is a twin-engine general purpose aircraft, capable of transporting up to 19 passengers or various cargoes. 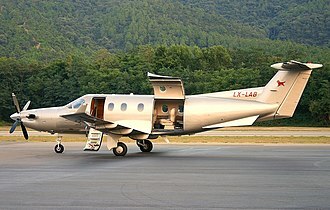 It is powered by a pair of Garrett TPE331 turboprop engines. The Do 228 is commonly classified as a Short Takeoff and Landing (STOL)-capable aircraft, being capable of operating from rough runways and in hot climates, this capability has been largely attributed to the type's supercritical wing which generates large amounts of lift at slow speeds. The Do 228 is typically promoted for its versatility, low operational costs, and a high level of reliability – possessing a dispatch reliability of 99%. RUAG Aviation have claimed that no other aircraft in the same class may carry as much cargo or as many passengers over a comparable distance as fast as the Do 228 NG. The rectangular shape of the Do 228's fuselage section and large side-loading doors make it particularly suitable for utility operators, which is a market that Dornier had targeted with the type from the onset. According to Flight International, one of the more distinguishing features of the Do 228 is the supercritical wing used. The structure of the wing is atypical, consisting of a box formed from four integrally-milled alloy panels, while kevlar is used for the ribs, stringers, trailing edge and fowler flaps, the wing's leading edge is conventional alloy sheet metal. Benefits of this wing over conventional methodology reportedly include a 15% reduction in weight, the elimination of the 12,000 rivets over, and lowering the per aircraft manufacturing workload by roughly 340 man hours. Both the fuselage and tail are of a conventional design, but made use of chemical milling in order to save weight. The Do 228 has been promoted in various capacities, including as a commuter aircraft, a military transporter, cargo hauler, or as a special missions aircraft. Special missions include maritime surveillance, border patrol, medevac, search and rescue, paradrop and environmental research missions, in which capacity the type has proven useful due to a ten-hour flight endurance, a wide operating range, low operational cost, and varied equipment range. Special equipment available to be installed include a 360-degree surveillance radar, side-looking airborne radar, forward-looking infrared (FLIR) sensor, search light, operator station, real-time datalink, enlarged fuel tanks, satellite uplink, stretches, air-openable roller door, and infrared/ultraviolet sensors. In addition to a 19-seat commuter configuration for airlines, a VIP cabin configuration is also offered; the cabin can also be customized as per each client's specifications. The Do 228 is the only aircraft of its class to be fitted with air conditioning as standard. More than 350 design changes are present between the Do 228 and the re-launched Do 228 NG. Amongst the principal changes is the adoption of Universal's UNS-1 glass cockpit, which means that standard aircraft are equipped to be flown under single-pilot instrument flight rules (IFR) in addition to visual flight rules (VFR); according to RUAG Aviation, the Do 228 NG is the first aircraft in its class to be certified with equivalent electronics. A total of four large displays are used in the cockpit, two primary flight displays and two multifunction displays, to present all key flight data. The navigation system includes VHF omnidirectional range (VOR), distance measuring equipment (DME), automatic direction finder (ADF), radar altimeter, Global Positioning System (GPS), air data computer, and a flight management system. A three-axis autopilot can be optionally incorporated, as can a weather radar and high frequency (HF) radio. While designed for two-pilot operation, the Dornier 228 can be flown by only one crewmember. Additional changes include the Garrett TPE331-10 engines, which have been optimized to work with the redesigned five-bladed fibre-composite propellers now used by the type, which are more efficient, quick to start, and produces substantially less vibration and noise than the original metal four-bladed predecessor. Through its engines, the Do 228 NG has the longest time between overhaul (TBO) of any 19-seat aircraft, reportedly up to 7,000 hours. An engine-indicating and crew-alerting system (EICAS) is also present for safety purposes; additional optional safety equipment akin to much larger passenger aircraft, including airborne collision avoidance system (ACAS) and terrain awareness and warning system (TAWS), can be incorporated as well. In July 2018, 57 aircraft were in airline service. Other operators include police, law enforcement, para-military operators and military operators. By July 2018, the fleet accumulated over four million flight hours. The Do 228 has been involved in 49 aviation accidents and incidents including 40 hull losses. Those resulted in 187 fatalities. ^ a b c Thomas Stocker (December 28, 2007). "Ruag to relaunch Do 228 production". AIN online. ^ "HAL Bags Rs. 1090 Crore Contract for Supplying 14 Do-228 Aircraft to IAF" (Press release). HAL. 5 Feb 2015. ^ Harry Weisberger (October 10, 2011). "Ruag Shows Off NextGen Dornier Do228NG". AIN. 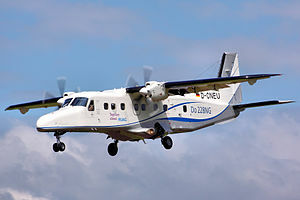 ^ Dornier 228 Archived 2010-06-25 at the Wayback Machine RUAG Dornier 228 webpage. RUAG. Retrieved 13 December 2009. ^ a b c d "Dornier 228 Multirole (MR) Facts & Figures." Archived 2016-03-01 at the Wayback Machine RUAG Aviation, Retrieved: 27 February 2016. ^ a b c "Dornier's Way With Commuters". Air International, October 1987, Vol 33 No 4. Bromley, UK:Fine Scroll. ISSN 0306-5634. pp. 163–169, 201—202. ^ a b Taylor, John W.R. (editor). Jane's All The World's Aircraft 1988–89. Coulsdon, UK: Jane's Defence Data, 1988. ISBN 0-7106-0867-5, p.87. ^ a b c d e f g h Whitaker, Richard. "Dornier 228: advanced technology commuter. ", 1982, p. 288-290. ^ a b Alcock, Charles. "Ruag Do228NG approval planned for first quarter." AIN Online, 28 December 2009. ^ Doyle, Andrew. "Surprise rebirth." 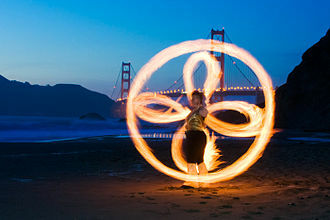 Flight International, 19 May 2008. ^ Press Trust of India (Jun 5, 2008). "HAL signs deal for making new generation Dornier aircraft". The Economic Times. ^ Andrew Doyle (1 June 2010). "ILA: Ruag makes a splash with Dornier 228 New Generation". Flight International. ^ "EASA certifies modernised Dornier 228NG". Flight International. 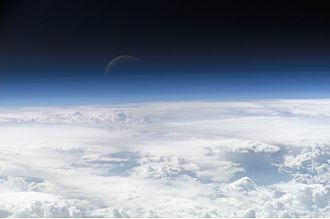 Retrieved 18 August 2010. ^ a b c d e f g h i j k "Dornier 228 NG – Benefit from a New Generation." Archived 2016-03-01 at the Wayback Machine RUAG Aviation, Retrieved: 27 February 2016. ^ "First Dornier 228NG Shipset Supplied. "[permanent dead link] BART International. ^ "New Generation Do228 Delivered". Air International, Vol. 79, No. 5, November 2010, p. 11. ^ a b Alcock, Charles. "Ruag to Kick Off Dornier 228NG Production in Mid-2016." AIN Online, 13 February 2016. ^ Broadbent, Mike. "RUAG Resumes Do 228NG Production". Air International, Vol. 89, No. 2, August 2015, p. 35. ^ Arthur, Gordon. "Singapore Airshow: Do 228 production ramps up." Shephard Media, 22 February 2016. ^ Batey, Angus. "RUAG, Dornier OEM, Sets Up 228 Production." Aviation Week, 15 June 2015. ^ "Dornier." Flight International, 21 March 1981. p. 845. ^ "Construction and Fuselage." Archived 2016-03-02 at the Wayback Machine RUAG Aviation, Retrieved: 27 February 2016. ^ "Ensuring mission success. The Dornier 228 Multirole." RUAG Aviation, Retrieved: 27 February 2016. ^ "Dornier extends its range." Flight International, 29 May 1982. p. 1364. ^ a b c "Economical and flexible. 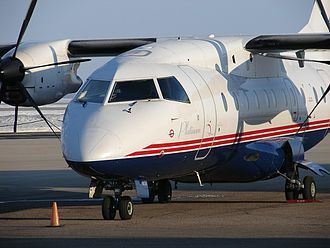 The Dornier 228 Advanced Commuter." RUAG Aviation, Retrieved: 27 February 2016. ^ Collins, Peter. "FLIGHT TEST: Ruag's Dornier 228NG put to the test." Flight International, 31 August 2012. ^ "More Power for Dornier." Flying Magazine, November 1990. Vol. 117, No. 11. ISSN 0015-4806. p. 47. 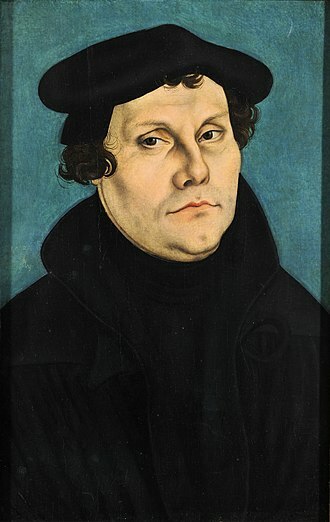 ^ James Wynbrandt (July 14, 2018). "Ruag Touts New-generation Dornier 228". AIN online. ^ "Dornier 228". Flight Safety Foundation. 4 March 2016. 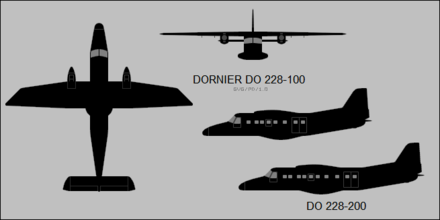 ^ "Dornier 228 Statistics". Flight Safety Foundation. 7 July 2018. ^ "occurrences in the ASN safety database". Flight Safety Foundation. 7 July 2018. 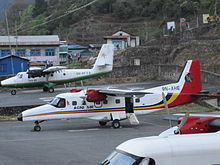 ^ "13 Indians among 15 killed in Nepal air crash". Hindustan Times. 14 May 2012. 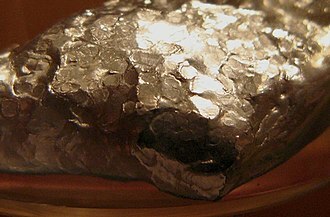 Retrieved 14 May 2012. ^ "Corpflite Dornier 228 CC-CNW crashes in Chile, two pilots killed". World Airline News. 2013-09-09. Retrieved 26 December 2014. ^ "Indian Navy Dornier plane crashes in Goa; woman among 2 officers missing". The Indian Express. 26 March 2015. Retrieved 3 July 2015. ^ "India navy plane crashes off Goa leaving two missing". BBC News. 2015-03-25. Retrieved 3 July 2015. ^ "29 August 2015 NAF030 Accident". Aviation Safety Network. 9 July 2018. ^ "Dornier 228 Advanced Commuter (AC) Facts & Figures". RUAG. ^ a b "Type certificate data sheet A.359 - Dornier 228 Series" (PDF). European Aviation Safety Agency. 4 January 2017. "Aircraft technical data & specifications". Airliners.net. "Fairchild Dornier 228". Forecast International. September 2009. Paratroopers are military parachutists — military personnel trained in parachuting into an operation and usually functioning as part of an airborne force. Military parachutists and parachutes were first used on a large scale during World War II for troop distribution and transportation, Paratroopers are often used to seize strategic objectives such as airfields or bridges. They are used for tactical advantage as they can be inserted into the battlefield from the air and they jump out of airplanes using their parachutes to land safely on the ground. 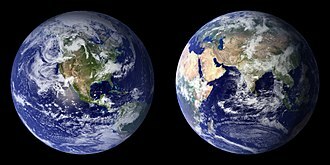 It is one of the three types of forced entry strategic techniques for entering a theater of war, the two are by land and sea. Another common use for paratroopers is to establish an airhead for landing other units and this doctrine was first practically applied to warfare by the Italians and the Soviets. During World War II, the two countries ground forces were overstretched, leaving their elite paratroopers to be employed as regular infantry. The first extensive use of paratroopers was by the Germans during World War II and in the war by the Americans, owing to the limited capacity of cargo aircraft of the period they rarely, if ever, jumped in groups much larger than 20 from one aircraft. In English language parlance, this load of paratroopers is called a stick, the terms come from the common use of white chalk on the sides of aircraft and vehicles to mark and update numbers of personnel and equipment being emplaned. In World War II, paratroopers most often used parachutes of a circular or round design and these parachutes could be steered to a small degree by pulling on the risers and suspension lines which attach to the parachute canopy itself. German paratroopers, whose harnesses had only a single riser attached at the back, paratroopers still use round parachutes, or round parachutes modified as to be more fully controlled with toggles. The parachutes are deployed by a static line. Mobility of the parachutes is often limited to prevent scattering of the troops when a large number parachute together. Some military exhibition units and special forces units use ram-air parachutes, many countries have one or several paratrooper units, usually associated to the national Army or Air Force, but in some cases to the Navy. A rivet is a permanent mechanical fastener. 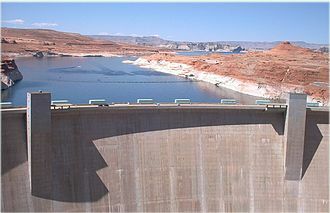 Before being installed, a rivet consists of a cylindrical shaft with a head on one end. The end opposite to the head is called the tail. On installation the rivet is placed in a punched or drilled hole, in other words, pounding creates a new head on the other end by smashing the tail material flatter, resulting in a rivet that is roughly a dumbbell shape. To distinguish between the two ends of the rivet, the head is called the factory head and the deformed end is called the shop head or buck-tail. Because there is effectively a head on each end of a rivet, it can support tension loads, however. Bolts and screws are better suited for tension applications, solid rivets consist simply of a shaft and head that are deformed with a hammer or rivet gun. A rivet compression or crimping tool can deform this type of rivet and this tool is mainly used on rivets close to the edge of the fastened material, since the tool is limited by the depth of its frame. A rivet compression tool does not require two people, and is generally the most foolproof way to solid rivets. Solid rivets are used in applications where reliability and safety count, a typical application for solid rivets can be found within the structural parts of aircraft. Hundreds of thousands of rivets are used to assemble the frame of a modern aircraft. Such rivets come with rounded or 100° countersunk heads, typical materials for aircraft rivets are aluminium alloys and nickel-based alloys. Some aluminum alloy rivets are too hard to buck and must be softened by solution treating prior to being bucked, ice box aluminum alloy rivets harden with age, and must likewise be annealed and kept at sub-freezing temperatures to slow the age-hardening process. Steel rivets can be found in structures such as bridges, cranes. The setting of these fasteners requires access to both sides of a structure, solid rivets are driven using a hydraulically, pneumatically, or electromagnetically driven squeezing tool or even a handheld hammer. Applications where only one side is accessible require blind rivets, high-strength bolts have largely replaced structural steel rivets. The Pratt & Whitney Canada PT6, produced by Pratt & Whitney Canada, is one of the most popular turboprop aircraft engines in history. The PT6 family is known for its reliability with an in-flight shutdown rate of 1 per 333000 hours since 1963,1 per 651,126 hours over 12 months in 2016, time between overhauls are between 3600 and 9000 hours and hot section inspections between 1800 and 2000 hrs. In US military use, they are designated as T74 or T101. The main variant, the PT6A, is available in a variety of models. The PT6B and PT6C are turboshaft variants for helicopters, demand for the Wasp radial engine was still strong and its production lines output was robust and profitable. Riley gave Guthrie a modest budget of C$100,000, Guthrie recruited young engineers from the National Research Council in Ottawa and from Orenda Engines in Ontario. In 1958, the group began development of an engine intended to deliver 450 shaft horsepower. 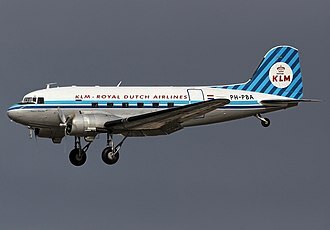 The first engine was powered up and run successfully in February 1960 and it first flew on 30 May 1961, mounted on a Beech 18 aircraft at de Havilland Canadas Downsview, Ontario facility. Full-scale production started in 1963, entering service the next year, by the 40th anniversary of its maiden flight in 2001, over 36,000 PT6As had been delivered, not including the other versions. The engine is used in over 100 different applications, all versions of the engine consist of two sections that can be easily separated for maintenance, a gas generator supplies hot gas to a free power turbine. The starter has to only the gas generator, making the engine easy to start. Air enters the gas-generator through an inlet screen into the axial compressor. This has three stages on small and medium versions of the engine and four stages on large versions. The air flows into a single-stage centrifugal compressor, through an annular combustion chamber. Hot gas from the gas flows into the power turbine. It has one stage on the engines and two stages on the medium and large ones. For turboprop use, this powers a two-stage planetary output reduction gearbox, the exhaust gas escapes through two side-mounted ducts in the power turbine housing. A border guard of a country is a national security agency that performs border control, i. e. enforces the security of the countrys national borders. Some of the border guard agencies perform coast guard. In different countries, names of particular border guard services vary significantly, the service may be called police, troops or sentinel and the name would refer to the nations official term for the state border - whether it is frontier or border. Most border guards of the world use dark green-colored elements on their uniform, patrols go out regularly from the Border outposts to patrol the international border to check illegal crossings and track any footprints of those who may have crossed over illegally or attempted to. The Border Guard may perform delegated customs and immigration control duties, wartime assistance of the Border guard to the Army is essential as they are familiar with the local terrain having patrolled it on a daily basis during peacetime. During wars, Border outposts are reworked into well fortified dug-in positions from where regular Army units can operate to defend the integrity of the country. Border Guards Bangladesh is a border security and anti-smuggling force under the Ministry of Home Affairs of Bangladesh. BGB can trace back its origin to the establishment of the Ramgarh Local Battalion in 1795 and this force is lightly armed and although its primary duty is to protect the border, during national emergencies it can be called upon to aid the government. Canada Border Services Agency is a law enforcement agency of the Department of Public Safety, created in 2003, it amalgamated the enforcement activities performed by three separate government entities. 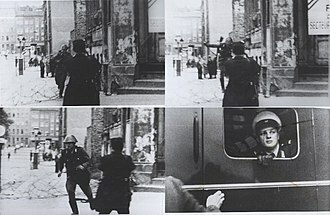 Traditionally unarmed, the arming of Border Services Officers, Officers are found at entry points to Canada in some conflicts such as the Six Day War. Also, many border posts are staffed by Carabinieri, the Immigration and Border Police performs border police duties. The State Border Guard Service is the charged with controlling and maintaining the Lithuanian Border. The State Border Guard Service falls under authority of the Ministry of the Interior, Border patrol and immigration control in Macau are conducted by Public Security Police Force of Macau at land entries with China and at Macau International Airport. Hindustan Aeronautics Limited is an Indian state-owned aerospace and defence company based in Bangalore, Karnataka. 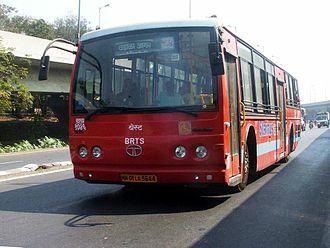 It is governed under the management of the Indian Ministry of Defence, the government-owned corporation is primarily involved in the operations of the aerospace industry. These include manufacturing and assembly of aircraft and related communication equipment, HAL built the first military aircraft in South Asia. It is currently involved in the design and assembly of aircraft, jet engines, helicopters and it has several facilities spread across India. The locations where the plants are operated by HAL include Nasik, Kanpur, Lucknow, Bangalore. The German engineer Kurt Tank designed the HF-24 Marut fighter-bomber, the first fighter aircraft made in India, HAL was established as Hindustan Aircraft in Bangalore in 1940 on 23 Dec 1940. Hindustan Aircraft Company was duly incorporated under the Mysore Companies Act as a private Ltd Company, he wrote to the Rulers of Baroda and Bhavanagar without success. Only Maharaja of Mysore responded favourably by agreeing to invest 25 lakhs, pawley managed to obtain a large number of machine-tools and equipment from the United States. The Indian Government bought a stake in the company and by April 1941 by investing 25 lakhs as it believed this to be a strategic imperative. The decision by the government was primarily motivated to boost British military hardware supplies in Asia to counter the threat posed by Imperial Japan during Second World War. The Kingdom of Mysore supplied two directors, Air Marshal John Higgins was resident director, the Mysore Kingdom refused to sell its stake in the company but yielded the management control over to the Indian Government. In 1943 the Bangalore factory was handed over to the United States Army Air Forces, the factory expanded rapidly and became the centre for major overhaul and repair of American aircraft and was known as the 84th Air Depot. The first aircraft to be overhauled was a Consolidated PBY Catalina followed by type of aircraft operated in India. The type designation Dornier Do 28 comprises two different twin-engine STOL utility aircraft, manufactured by Dornier Flugzeugbau GmbH. Most of them served with the German Air Force and Marineflieger and other air forces around the world in the communications, the Do 28 series consists of the fundamentally different Do 28 A/B and Do 28 D Skyservant. The Do 28 was developed from the single-engine Do 27 at the end of the 1950s, the design shared the high-wing cantilever layout and the lift augmentation devices of the Do 27, together with the rear fuselage which seated six passengers. The internal space of the Do 28 was the same as the Do 27, like the Do 27, the Dornier Do 28 possessed a high cruising speed, excellent low-speed handling characteristics, as well as very short takeoff and landing performance. 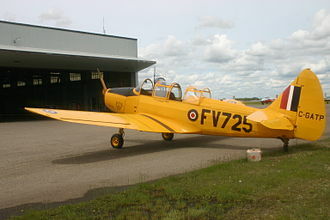 The Do 28 was readily accepted as a progression from its single-engine forebear. The design proved remarkably adaptable and was developed into a number of improved variants, from the original D, through the D1 and D2 to the 128-2. Each variant introduced a number of changes that enhanced its already versatile performance capabilities. 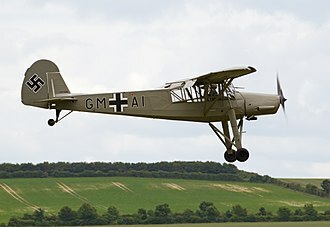 The Dornier company was given financial assistance from the German government to develop a larger STOL transport to carry up to 13 passengers, the type was designated the Do 28D and named Skyservant. The Do 28D was a redesign and shared only the basic layout. 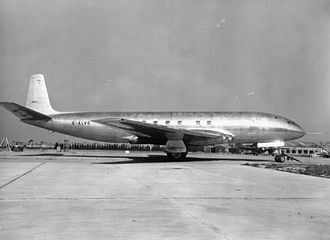 The fuselage and engine nacelles were rectangular, unlike the rounded Do 28A/B, the aim was to develop a simple and rugged aircraft for use under arduous conditions, which could be easily maintained. The first flight of a Do 28D took place on 23 February 1966, a further variant of the Skyservant was the Do 28D-2/OU. Two aircraft were fitted with radar and SLAR to monitor oil pollution in the Baltic, painted in a white scheme, they were operated between 1984 and 1995 by MFG5 of the Marineflieger, on behalf of the German Transport Ministry. These aircraft are easily recognised by the fuselage-mounted SLAR antenna and a radome under the cockpit, in 1991, both aircraft operated for several weeks in the Persian Gulf during the Gulf War under the control of the United Nations. A turboprop engine is a turbine engine that drives an aircraft propeller. In contrast to a turbojet, the engines exhaust gases do not contain enough energy to create significant thrust, in its simplest form a turboprop consists of an intake, combustor, and a propelling nozzle. Air is drawn into the intake and compressed by the compressor, fuel is added to the compressed air in the combustor, where the fuel-air mixture combusts. The hot combustion gases expand through the turbine, some of the power generated by the turbine is used to drive the compressor. 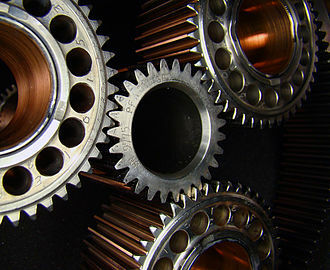 The rest is transmitted through the reduction gearing to the propeller, further expansion of the gases occurs in the propelling nozzle, where the gases exhaust to atmospheric pressure. The propelling nozzle provides a small proportion of the thrust generated by a turboprop. Exhaust thrust in a turboprop is sacrificed in favor of shaft power, owing to the additional expansion in the turbine system, the residual energy in the exhaust jet is low. Consequently, the exhaust jet typically produces around or less than 10% of the total thrust, turboprops can have bypass ratios up to 50-100 although the propulsion airflow is less clearly defined for propellers than for fans. The propeller is coupled to the turbine through a gear that converts the high RPM, low torque output to low RPM. The propeller itself is normally a constant speed type similar to that used with larger reciprocating aircraft engines, unlike the small diameter fans used in turbofan jet engines, the propeller has a large diameter that lets it accelerate a large volume of air. This permits a lower velocity for a given amount of thrust. 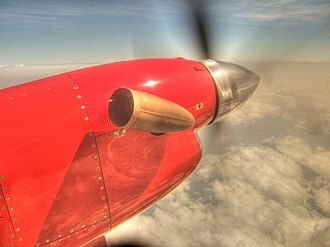 Propellers lose efficiency as speed increases, so turboprops are normally not used on high-speed aircraft above Mach 0. 6-0.7. However, propfan engines, which are similar to turboprop engines. To increase propeller efficiency, a mechanism can be used to alter their pitch relative to the airspeed, a variable-pitch propeller, called a controllable-pitch propeller, can be used to generate negative thrust while decelerating on the runway. The Indian Coast Guard protects Indias maritime interests and enforces maritime law, with jurisdiction over the territorial waters of India, including its contiguous zone and exclusive economic zone. The Indian Coast Guard was formally established on 18 August 1978 by the Coast Guard Act,1978 of the Parliament of India as an independent Armed force of India and it operates under the Ministry of Defence. The Coast Guard works in cooperation with the Indian Navy, the Department of Fisheries, the Department of Revenue. The establishment of the Indian Coast Guard was first proposed by the Indian Navy to provide maritime services to the nation. In the 1960s, sea-borne smuggling of goods was threatening Indias domestic economy, the Indian Customs Department frequently called upon the Indian Navy for assistance with patrol and interception in the anti-smuggling effort. The Nagchaudhuri Committee was constituted with participation from the Indian Navy, the committee looked at the number and nature of the equipment and personnel required to provide those services. 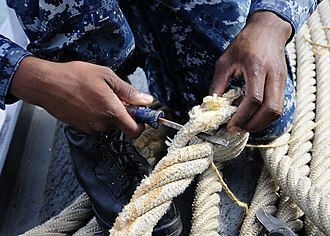 The Indian Navy sensed that the law enforcement nature of these duties diverged from its mission as a military service. On 31 August 1974, the Defence Secretary submitted a note to the Cabinet Secretary proposing cabinet action on Admiral Kohlis recommendation, the discovery of oil off Bombay High further emphasised the need for a maritime law enforcement and protection service. The committee submitted its recommendation for the establishment of the Indian Coast Guard under the Ministry of Defence on 31 July 1975, bureaucratic wrangling followed, with the Cabinet Secretary making a recommendation to place the service under the Ministry of Home Affairs. Then Prime Minister Indira Gandhi overruled the Cabinet Secretary and decided to accept the recommendation of the Rustamji Committee to place the service under the Ministry of Defence. An interim Indian Coast Guard came into being on 1 February 1977, the duties and functions of the service were formally defined in the Coast Guard Act, which was passed by Indias parliament on 18 August 1978 and came into immediate effect. 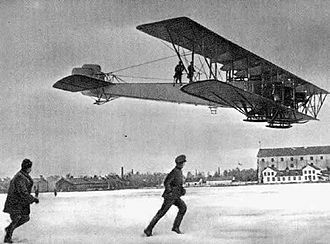 Dornier Wal flown by Roald Amundsen on his first attempt to reach the North Pole. Dornier Do X - largest and heaviest aircraft of its era. 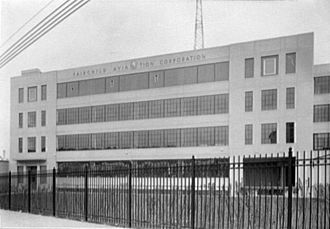 The Jamaica, New York Fairchild plant in 1941. A PT6A-67D engine on a Beechcraft 1900D. The turbine exhaust is prominent. Soviet Border Troops riding horses patrol a mountainous section of the border in 1984. Chinese border guards' booth on the sea coast in Guangdong. A Border Guard Bangladesh Senior Warrant Officer (left in yellow/green outfit) applies a mechanical advantage control/hold to a US Marine during training. Supercritical airfoil Mach number/pressure coefficient diagram (y axis: Mach number, or pressure coefficient, negative up; x axis: position along chord, leading edge left). The sudden increase in pressure coefficient at midchord is due to the shock. Interior of a Boeing/Stearman PT-17 showing small channel section stringers.